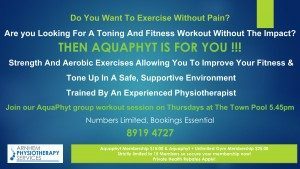 Arnhem Physiotherapy are now offering Aquaphyt! Do you want to exercise with out pain? Looking to tone and increase your fitness without impact? THEN AQUAPHYT IS FOR YOU! Bookings are essential, call on 8919 4727 to secure your place! Reformer Pilates is for you!